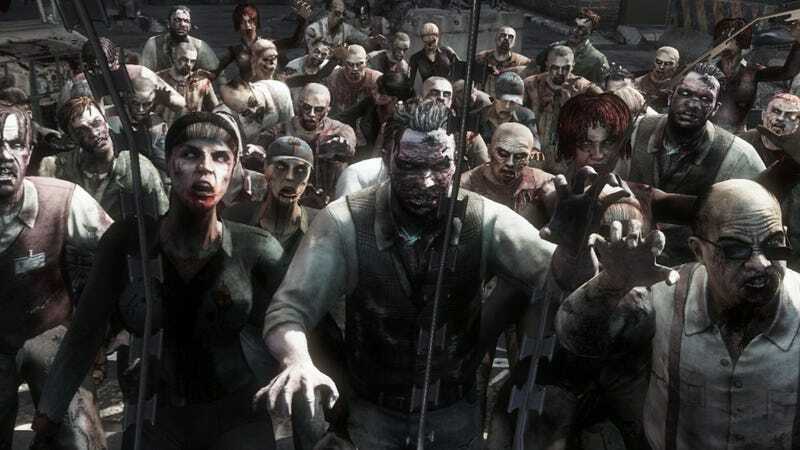 War Z Developer on Steam Debacle: You Misread The Description. The roll out of zombie shooter The War Z is one hot mess. Yesterday, gamers on Reddit were pissed about the game's misleading description on Steam. And now, the game's maker, Hammerpoint Interactive, is saying it wasn't the description's fault. Oh, no, it was yours. "I'm sure that a few players may be upset, but I can assure you that based on what we're seeing, the number of people who post bad comments are a small percentage of people who actually bought the game," Hammerpoint Interactive's Sergey Titov told GameSpy, echoing what he also told Kotaku. However, Titov went one step further by saying, "I'm sure there'll be people who will look into small details and will say ‘no I was mislead' where in fact they imagined something to themselves without checking details first." "I think there's a difference between false claims and perception of the text. There's no such thing as 'fully released' for online game. As far as I'm concerned The War Z is in a stage when we're ready to stop calling it Beta. This is a basic version—bones to which we're going to add more and more 'meat'—features and content in the coming months and hopefully years." As you all know we launched the game on Steam yesterday. Okay—we're number one top grossing game on Steam right now—thank you guys for your support. At the same time it was clear that there were a number of customers that felt that information about the game was presented in a way that could have allowed for multiple interpretations. We've taken steps to correct this and format information presented on our Steam Store page in a way so it provides more clear information about game features that are present in the Foundation Release and what to expect in the coming weeks. We also want to extend our apologies to all players who misread infromation [SIC] about game features. At the end of the day our goal is to serve our players as best as we can, and we love when you guys steer us into the right way of doing it ! This bit deserves a reply: "We also want to extend our apologies to all players who misread infromation [SIC] about game features." It's not us, it's you. On the game's forums, some are accepting the studio's apologies, thanking the developers. Others are simply not having it. DeadlySwordz writes, "So you waited till a bunch of people bought your game and made some money first before addressing this? Wow. Good thing I didn't buy and never will." Kingkilla15425 added," It wasn't a misrepresentation, it was a blatant lie. But good job fixing it anyways." "No one misread anything," writes Snedsdawg. "The information you posted was false, it's as simple as that. Don't try to pin this on us, it was your error, not ours." Besides launching suspicious microtransactions, Hammerpoint is directing unhappy customers to Steam for a refund. You know, those unhappy customers that supposedly misread the original Steam description and got bad infromation.